Situated in Upstate New York, just 50 miles north of Albany, The Lake George Area is easily accessible and a direct drive from NYC, Boston and Montreal. It is a perfect destination for an extended stay or a stopover on a long trip, any time of year. This itinerary is a fantastic combination of soft adventure options for more active groups and diverse tour opportunities for those that just want to sit back, relax and enjoy fabulous sightseeing. Whether your group is a returning tour or exploring our destination for the very first time, this itinerarys offerings are sure to be the highlight of the year. said Tanya Brand, group tour promoter for The Warren County Tourism Department. 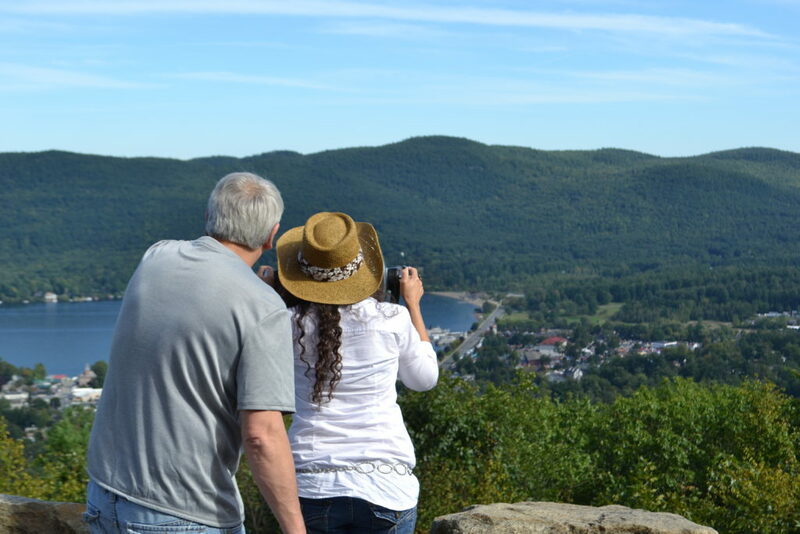 Enjoy a gorgeous 100-mile view of Lake George and the mountains beyond at the top of Prospect Mountain. Buses can travel the 5.5-mile highway to the 2,030-foot summit, stopping at its three overlooks for different vantage points of the 32-mile-long lake. 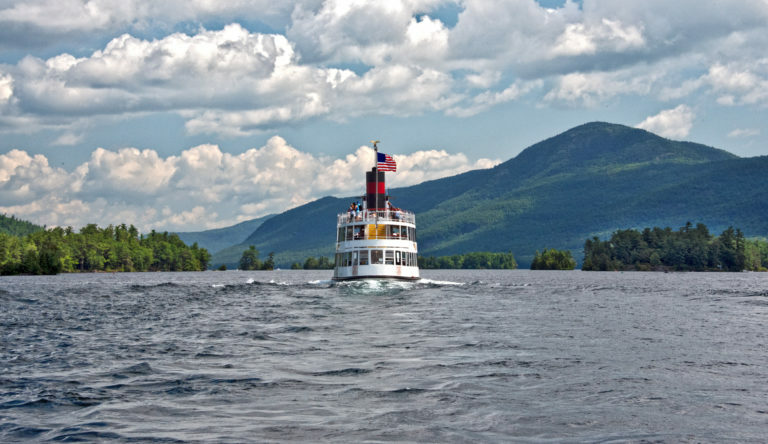 After, enjoy a leisurely lunch or dinner cruise aboard one of Lake George Steamboats sailing vessels. Your group is sure to enjoy the lake breezes, stately homes and resorts dotting the shoreline of the Queen of American Lakes, Lake George. 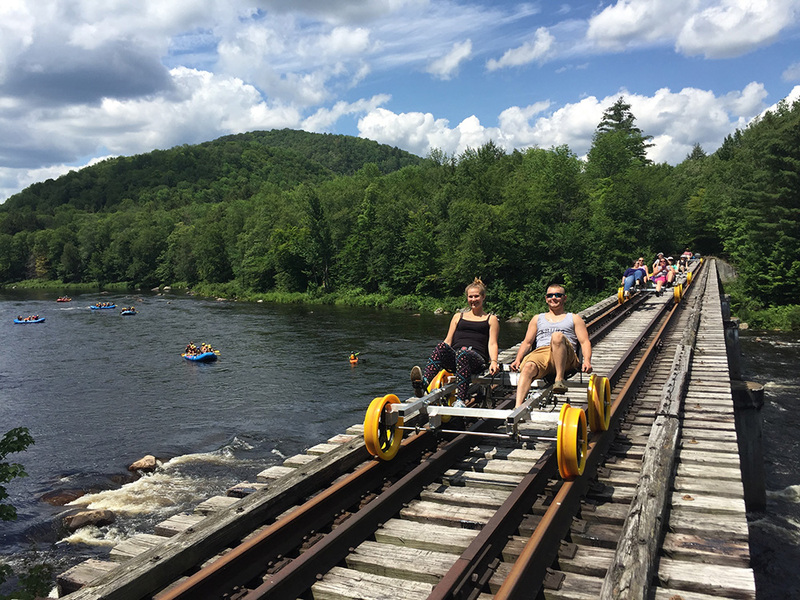 Try rail biking along the Hudson River. Pedal through scenic woods and over the Hudson River on a 200-foot trestle before lunch at the elegant Copperfield Inn or the rustic, Adirondack style, Garnet Hill Lodge. Take a self-guided trail walk at Natural Stone Bridge & Caves, home of the largest marble cave entrance in the Northeast. Or enjoy breathtaking views on the Northwoods Gondola at Gore Mountain. Treasure seekers can visit the worlds largest garnet deposit at Bartons Garnet Mine and Mineral Shop to learn the history and geology of the mine. Guides will explain and demonstrate how to find garnet gemstones to take home! In September 1901, Teddy Roosevelt learned he was to be the 26th President of the United States when he reached the North Creek Station at sawn after hiking in the Adirondacks. 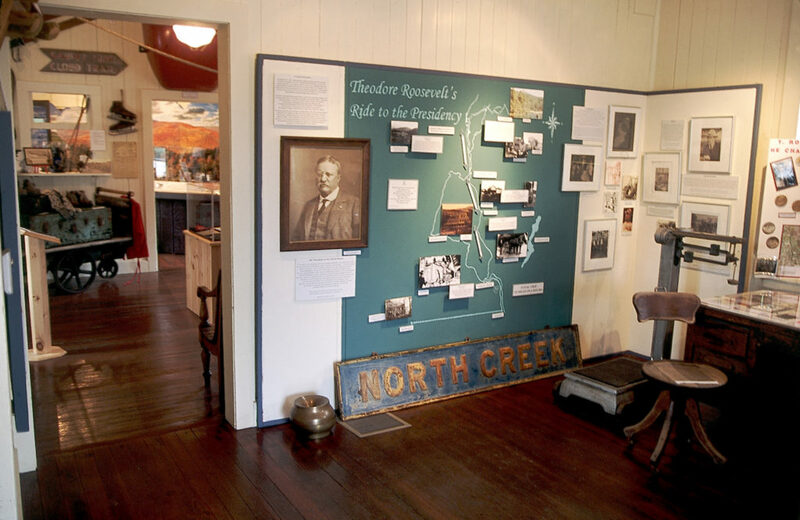 The North Creek Depot Museum warmly reunites the past with the present with exhibits that tell the tale of Teddys midnight ride to the station and the impact of his presidency on American life.